The ThreatMetrix Ticket Office at SAP Center is located in the southeast corner of SAP Center at San Jose (directions). Tickets may be purchased there, by phone at the numbers below, at Ticketmaster outlets or online at Ticketmaster.com (click here to purchase). The ThreatMetrix Ticket Office at SAP Center is open Monday through Friday from 10:00 AM to 3:00 PM. 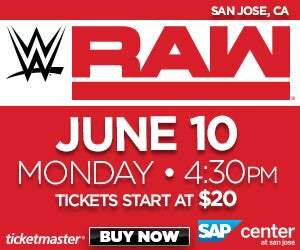 If there is an event at the SAP Center during a weekend, the Ticket Office will open at 2:00 PM. 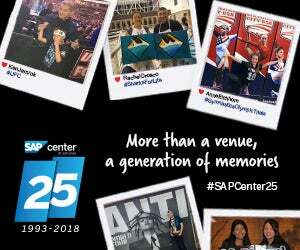 Thanks for your interest in purchasing tickets to SAP Center events. We’ve provided a number of helpful links and phone numbers below. Only Ticketmaster can guarantee that the tickets you purchase are 100% verified and issued in your name so they can't be counterfeited. Be aware that tickets purchased through other channels are not verified.